Il Mulino was founded in 1951 in Bologna and has been the starting point for numerous other initiatives, including the publishing house Il Mulino. As the subtitle – “culture and politics review” – indicates, it covers social issues from both a political and cultural perspective, taking into account the power politics has on influencing cultural change. In doing this, the journal’s approach is the same as when it was founded: combining traditional analysis with suggestions of change and renewal. The articles published in the journal also flow into the website (www.rivistailmulino.it), which is updated daily. The articles on the website are often shorter and focused on current events, but at the same time they offer a possibility of in-depth analysis of potential development and change. Online articles are divided into six different columns and are open to comments by readers. 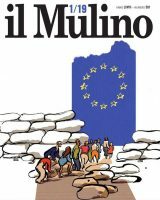 Il Mulino is the journal of the “Associazione di cultura e politica Il Mulino” and also publishes contributions by its members. Recent contributors include: Aris Accornero, Mauro Barberis, Marco Cammelli, Roberto Cartocci, Alessandro Cavalli, Enzo Cheli, Roberto Escobar, Carlo Galli, Giancarlo Gasperoni, Piero Ignazi, Massimo Livi Bacci, Giuseppe Lovato, Angelo Panebianco, Paolo Prodi, Romano Prodi, Alberto Quadrio Curzio, Giacomo Vaciago, Francesco Vella, Ignazio Visco.